We are all familiar with hot coffee. After all, hot coffee is one of the most popular beverages in the world. However, a special type of coffee that has a unique taste and properties called cold brew is quickly gaining popularity. Indeed, as its name suggests, cold brew is not only consumed cold but also made brewed without any heat at all. Contrasted to hot coffee which is brewed at around 91°C to 96°C, cold brew is brewed at 2°C to 21°C. It is this difference in temperature that gives the cold brew its unique taste. In addition, more coffee beans are required to make cold brew, so it is also more concentrated than your average hot coffee. But one of the main advantages of cold brew is that it has a low acid level. This makes it more suitable than hot coffee for those who suffer from acid reflux or has a weak stomach. If you are fresh on the market for the best coffee for cold brew, then you have come to the right place! Below, we have reviewed a few popular coffee brands that you can use for your cold brew. Back in the day, iced coffee used to be the only type of cold coffee you could buy. However, today cold brew is more popular and found in almost any popular coffee outlets. But what is the difference between those 2? Let’s find out! Cold brew is a coffee that is made by using coarse ground coffee mixed with water at room temperature. This “brew is stored for at least 12 hours or more so that all the flavors, caffeine and oils of the ground coffee can be extracted naturally. In short, a cold brew uses the time to brew and does so in the absolute absence of heat. One of the main advantages of a cold brew is its low bitterness despite having a higher caffeine level. On the other hand, iced coffee is simply hot coffee that has been allowed to cool and ice added on it. Its main advantage is that you can add milk or other additives to an iced coffee in order to change its taste. However, iced coffee is quickly losing popularity to cold brew which is simply a superior coffee product in every sense. The Stone Street is a popular coffee used to make cold brew. Since this coffee is dark roasted, it has a low caffeine level and low acidity. This means that this is an excellent coffee for those with a weak stomach, or who suffer from acid reflux. You can consume multiple cups of this coffee, no problem. In addition, it is course grind right out of the box so it is ideal for making a cold brew because it will create a coffee that is not bitter in taste. Talking about the taste, Stone Street is a very smooth coffee because it is made from 100% Arabica coffee beans. And last but not least, you get 1 lb of coffee with this purchase which makes it value for money. 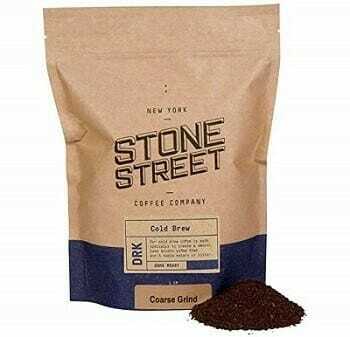 All in all, if you don’t know where to start, Stone Street is one of the best coffee roasts for cold brew out there. We highly recommend it! You will need a separate airtight container to store this ground coffee in case you do not use all of it to prepare your cold brew. 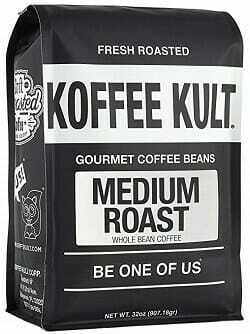 Koffee Kult is a popular gourmet coffee that you can use to make cold brew. It is made here in America and uses the highest quality beans that do not contain any oils. This coffee is also medium roasted so as to provide a decent full-bodied taste as well as excellent caffeine levels that will provide you with a good caffeine kick. 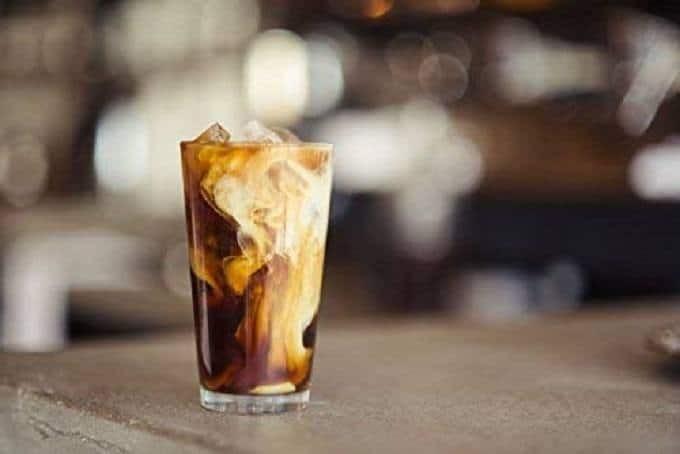 If you need a cold brew coffee that will wake you up in the morning and strong enough to keep you awake throughout the day, then Koffee Kult is an excellent choice. In addition, you get 907 g of coffee with this purchase so you will have plenty of coffee to make your cold brew. The only caveat we note with this product is that it is the whole bean. Therefore, you will have to pre-grind it to a course grind before you can make your cold brew. But other than that, Koffee Kult is simply one of best coffees for a cold brew that you can buy because of its taste, flavor, and powerful caffeine kick. There are many areas where the Cafe Du Monde is an excellent choice. For one, this coffee uses the French Roast roasting process which means that it is more heavily roasted that even a dark roasted coffee. 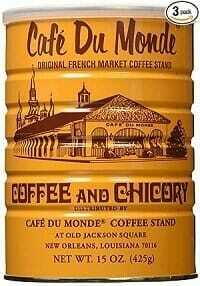 Therefore, this coffee chicory is very low in acid levels. If you suffer from acid reflux or has a weak stomach when ingesting coffee, then the Cafe Du Monde should be your next purchase. Also, where this coffee absolutely shines is in its packaging. Indeed, it comes in a metal tin can that is fully airtight. You will have no problem storing this coffee for an extended period of time without its taste getting rancid. The bottom line is, if you need a tasty and low acid coffee for your cold brew, then the Cafe Du Monde is one of the best ground coffees for a cold brew on the market. It has a lot of flavors and makes an awesome cold brew coffee! You should experiment with the amount of coffee that you use when using this chicory. The French Roast is a heavier roast than dark roast so the taste can get quite bitter if too much coffee is used. The Tiny Foot is a reputable coffee worldwide that comes from Ethiopia. What demarks this coffee from the rest of the competition is its mixture of light and dark roasted coffee beans inside the package. Since this is a whole bean coffee, you will have to coarse grind it first before you can use it to prepare your cold brew. However, this is not a big problem if you already have a coffee grinder as it can be done in a few minutes. Another department where this coffee absolutely shines is in its taste. Indeed, since it is made from 100% Arabica coffee beans, it is very smooth in taste. Moreover, no pesticides have been used in the cultivation of this coffee bean as it is fully organic. As we can see, the Tiny Foot is a unique product in this coffee for cold brew review. This is because it has a mixture of both light and dark roasted coffee beans that give it a unique taste. Faro Roasting is not as popular as other coffees we have reviewed so far. However, it is still an excellent coffee that is used by many baristas, both amateur and professional to make an excellent tasting cold brew. What we like about this whole bean coffee is that it has a low acid level, so it is an excellent choice for those with acid reflux or a weak stomach. And since it is made from 100% Arabica beans, it is smooth as well as a full-bodied and bright taste. 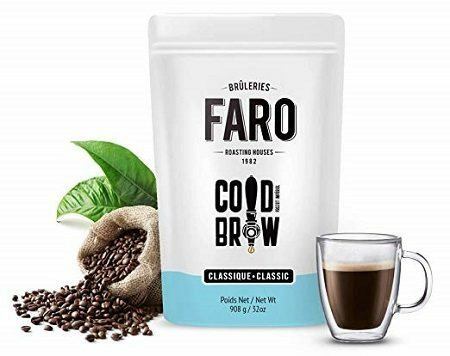 If you do not want a coffee that is overly harsh, then the Faro Roasting is a top-rated coffee for a cold brew. The only caveat we note is that it is more expensive pound for pound when compared to other coffees so far. However, it still remains a worthwhile investment if you like your cold brew coffee to be bright and tasty. If there is one department where the Cold Buzz is literally unbeatable, then it is in the price department. Indeed, considering that you get no less than 5 packs of 212 g each of coffee, this is an incredible value for money coffee. With one pack, you will be able to make about 10 to 14 cups of cold brew coffee concentrate. You can add milk or dilute with water. 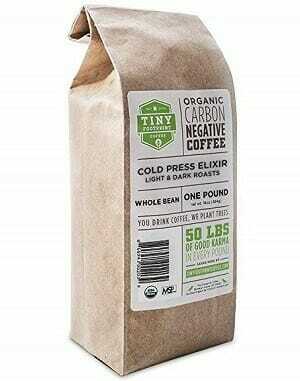 Additionally, since this ground coffee is dark roasted, it contains very low acid levels. Not to mention that there are a lot of flavors and aromas in this coffee. 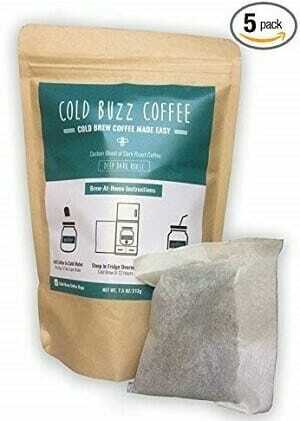 Definitely, when it comes to value, the Cold Buzz is one of the best coffee roasts for a cold brew that you can buy. Metropolis is known as being one of the most reputable coffee manufacturers on the market. 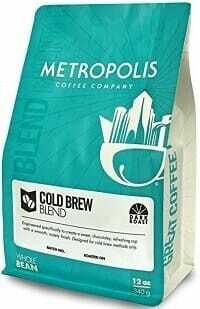 This coffee by Metropolis is a product used by many baristas. Indeed, Metropolis is a purely American company that provides you with the highest quality roast and coffee bean. This current product is dark roasted, so it has a low acid level and low caffeine as well. If you are a heavy coffee drinker, then this is an excellent choice for you. Moreover, what makes this coffee unique is its smooth and bright taste with sweet and chocolate undertones. If you are a person who does not consume a lot of sugar, then this coffee is made for you because you will not need a lot of sugar to make it taste sweet. All in all, Metropolis is one of the best coffees brands for a cold brew on the market. We recommended if you need the absolute best tasting coffee to make your cold brew. You don’t have to add a lot of sugar to this coffee to make it taste sweet as it is naturally sweet right out of the box. Also, you get only 340 g of coffee with this purchase so if you like this brand you may consider purchasing multiple packs. There are basically 2 types of brewing process when it comes to cold brew. The immersion and drip coffee process. As its name suggests, the immersion is simply mixing your ground coffee with water and let it “immerse” for an extended period of time. Most of the time, this is between 12 to 18 hours depending on the coffee and the coffee brightness you want to get. The immersion cold brew is considered to be the easiest method to make a cold coffee brew. If you do not have advanced equipment’s and freshly starting out, then the immersion cold brew is the best type of process for you. Drip coffee uses a drip brewer and produces a brighter cold brew than one that has been made using the immersion process. Again, as we can see in the name, the drip process is simply a process where you let the coffee and water mixture drip slowly in a period of 3 to 5 hours. Of course, you can adjust the amount of coffee that drips, and you normally get a medium-bodied coffee with the drip coffee process. This type of cold brew is also somewhat more concentrated and visually stunning than the immersion cold brew. The grind that you use in your cold brew is perhaps the most important factor. It will decide not only the quality of your cold brew but also its taste. Indeed, a coffee bean that is too finely ground will have a bitter taste and not recommended to be used in a cold brew. In fact, the best coffee bean for the cold brew is a bean that is coarsely ground to the size of raw sugar. Therefore, coffee like instant coffee that is very finely ground is not recommended to be used when making a cold brew. Instead, you will need to buy whole coffee beans, and coarse grind them in a coffee grinder. Or best, buy a coffee that has been made specifically for a cold brew. The roast type will play a part in high bright, bitter, and how much caffeine are present in the cold brew. If you use a lightly roasted coffee bean for your cold brew, it will have a bright taste as well as very strong because of the higher concentration of caffeine in the brew. So, a lightly roasted coffee bean is excellent in a cold brew if you need a strong coffee to wake you up in the morning. On the other hand, a dark roasted coffee will have a significantly less level of caffeine as well as less acidity. Therefore, if you have a sensitive stomach and usually get acid reflux from ingesting large quantities of coffee, then a cold brew made from a dark roast is generally the best for your need. The single origin coffee is usually more expensive and premium grade than a blend. Some popular single origins for coffee beans are Colombia, Honduras, Central, and South America and Brazil. Those places are known to produce some of the best coffee for a cold brew that you can buy. This type of coffee has a unique taste, and from the taste alone, many expert baristas can trace the origin of the coffee, regardless of whether it is a hot coffee or a cold brew. However, if you are short on cash but still want to get a decent coffee experience, then the blend is a good choice. The blend is generally a mixture of various coffee beans that have different origins. Of course, the grade of those coffee beans is not as high-quality as in a coffee with a single origin. To milk, your cold brew or not is entirely up to you and based on preference. The good thing about a cold brew is that you can drink it both with or without milk and it will taste good. Furthermore, you can also choose to use a sweet cream instead of sugar with your cold brew in order to soften and sweeten its taste. If you want to make a cold brew but don’t know where to start, here is a guide that will allow you to make your own cold brew quickly and easily. 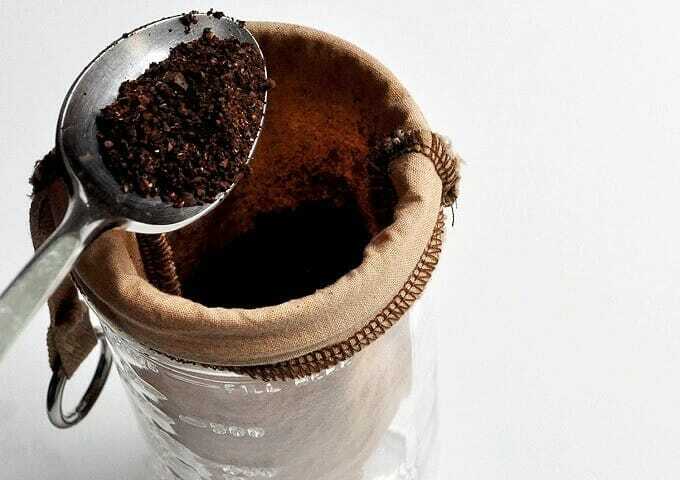 In addition, this guide will allow you to prepare 2 quarts which should be enough to last you a week as long as you are a casual coffee drinker. Grind your whole coffee beans to a coarse grind using the coffee grinder. The coarse grind should roughly be the size of raw sugar. It is important not to grind your coffee bean too finely because a finely ground coffee in a cold brew will have a very bitter taste. Once your whole bean coffee has been ground, put it in your glass jar and then fill the jar with water up to around 3/4 of the jar. Gently stir the ground coffee powder with the water thoroughly. You should keep steering until you see the coffee floating at the top and producing bubbles. Let the brew sit overnight for 18 to 24 hours. This will give it enough time for the flavors and aromas of the ground coffee to come out and mix with the brew. Please the cheesecloth on top of the glass jar and secure it with the rubber band. Note, you should ensure that the cheesecloth is clean for hygiene reasons before use. Now that the cheesecloth is in place, slowly top over the glass jar over a container such that the coffee brew starts flowing at the bottom. You may need some patience as this is a process that requires some time to finish. Additionally, it will depend on how well you have mixed the ground coffee with the water as illustrated in step 3. Once you have strained the mixture, clean the glass jar and pour the coffee from the container back into the glass jar for storage. Now that you have strained the coffee and got a clear cold brew coffee in your glass jar, it is ready to be served. Remember, the cold brew in your glass jar is a concentrate so you will need to dilute it with water or milk. Else it will be too strong in taste. Pour a 1/2 cup of cold brew from the glass jar in a cup and then add another 1/2 cold and distilled water in order to fill the glass. Then, add a couple of ice cubes and place a peppermint or lemon cubes to your drink based on your preference. You can also add milk or sweet cream depending on your taste. Preparing a tasty cold brew is not very difficult, and even absolute beginners can do it. Use the instructions above to practice and add your own twist to your cold brew. One of the best things about the cold brew is just how simple it is to make. However, this simplicity often plays against it as people who make cold brews often make mistakes that ruin the taste of their cold brew coffee. The preferred method for preparing cold brew is by using ground coffee. However, ground coffee that is ground too fine will leave you with a bitter taste in the mouth. The best way to get around this issue is to buy whole beans coffee and grind it to a coarse grind. This will make a big difference in the quality of taste that you experience with your cold brew. Soaking your ground coffee when preparing a cold brew is very important. This is because a good soaking will allow the flavor and aroma to come out of the coffee in a more efficient and abundant manner. Therefore, if you want to get the tastiest cold brew possible, soak your ground coffee for at least 12 hours before use. Ideally, you should opt for 18 hours or more to get a very fine and tasteful cold brew. Unlike hot coffee where you simply push a button on your coffee machine and get a brew, with a cold brew you have to let it sit for at least 12 hours. Therefore, go ahead and prepare enough cold brew coffee to last you a week instead of one or 2 cups. Don’t worry; the cold brew will not lose its taste when put in the refrigerator. After your cold brew has set for at least 12 hours, you need to strain it through cheesecloth in order to remove the unwanted coffee. When doing this process, take your time and do not strain too fast or else you may get a bitter cold brew. Even if you place your cold brew in the reference generator, you still need to put ice in it when drinking because this will accentuate the taste of the coffee and prevent any bitterness. Cold coffee provides you with a different experience than hot coffee. 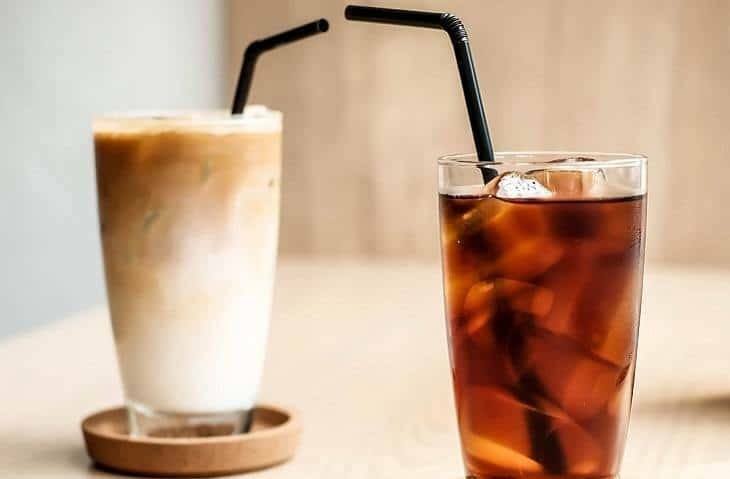 In addition, cold coffee also has multiple health benefits as well as can be stored for longer periods of time without it oxidizing and losing its taste. But what is interesting about the cold brew is that there are multiple ways for you to prepare it. You do not necessarily need a cold coffee brewing machine if you don’t want to invest in one. Lastly, if you have read our coffee for cold brew review above and not chosen a coffee brand that yet, then we recommend that you go through the review again as you may have missed something.